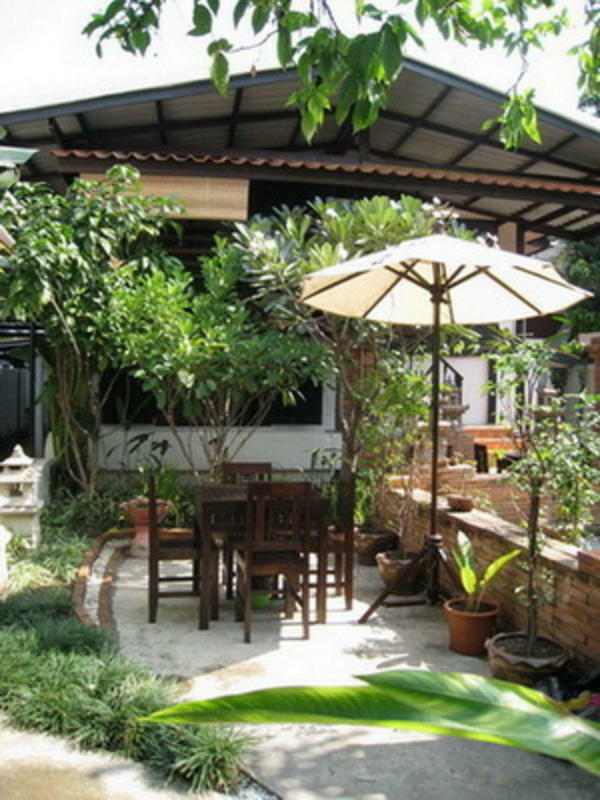 Huan pingphu is a boutique guesthouse that was renovate from an old house around 80 years ago. The old building has been renovates and transformed into a comfortable, eye pleasing fusion with a stylish Thai sensibility. Each of our 11 rooms with private bathroom is decorated in different style with a relaxing atmosphere as you live in your home. We are situated in the middle of the town, with nearby cultural places of Chiang Mai such as The old city gate, canal, Thapae Gate and many beautiful temples and ancient chedis where you can study about northern life. we have 11 different rooms: 2 single bed rooms, 1 twin bed room, 3 double bed rooms (queen size), 5 double bed rooms (king size). Facilities are old teak furniture, air condition, LCD TV, cable TV, warm/cold shower, WiFi internet and private bathroom. Now we provide very our service at very cheap prices, starting from 9$. Payment at the Guesthouse is in CASH we don\'t accept credit cards. We situated in the mid of the town ,only 10 minutes from airport or 15 minutes from railways station.The local bus(red van)can transport to us easily.